Historiography refers to the philosophy and methods of doing history. Psychology is certainly guided by underlying philosophies and a diversity of research methods. A behaviorist, for example, has certain assumptions about the influence of previous experience, in terms of a history of punishment and reinforcement, on current behavior. And the methods of study take those assumptions into account in the design and conduct of experiments. A psychoanalytic psychologist, on the other hand, has a very different philosophy and methodology in investigating the questions of interest, for example, believing in the influence of unconscious motives and using techniques such as free association or analysis of latent dream content to understand those motives. Historical research is guided in the same way. It will help you understand history by knowing something about its philosophy and methods as well. The historical point of view is highly compatible with our notions of our science. Psychologists tend to view individuals in developmental terms, and historians of psychology extend this point of view to encompass the developmental life of the discipline. Like any area of inquiry in psychology, historians of psychology modify their theories, principles, and practices with the accumulation of knowledge, the passage of time, and available technology. One simply needs to compare E. G. Boring’s epic 1929 tome, A History of Experimental Psychology, with Duane and Sydney Ellen Schultz’s 2004 text, A History of Modern Psychology, to see the difference that 75 years can make. Approaches to history have changed dramatically over the last 75 years. Indeed much of the early research and scholarship in the history of psychology was ceremonial and celebratory. Most often it was not written by historians. It was, and in some circles remains, a reflexive view of history—great people cause great change. Such a view is naive and simplistic. Psychological theories, research practices, and applications are all bound in a context, and it is this dynamic and fluid model that is the trend in historical research today. Just as inferential statistics have advanced from simple regression analysis to structural equation modeling, so too has historical research embraced a notion of multiple determinants and estimates of their relative impact on historical construction. In 1989 historian of psychology Laurel Furumoto christened this “the new history,” a signifier denoting that historic research should strive to be more contextual and less internal. Postmodern, deconstructionist, and social constructionist perspectives all share an emphasis on context, and have influenced historical research in psychology. The postmodern approach embraces a more critical and questioning attitude toward the enterprise of science (Anderson, 1998). The rise of science studies has led to what some have dubbed the “science wars” and to contentious arguments between those who see science as an honest attempt at objective and dispassionate fact-finding and those who see science (psychological and otherwise) as a political exercise subject to disorder, bias, control, and authority mongering. It is an issue that is present in today’s history of psychology (for examples and discussions see Popplestone, 2004; Zammito, 2004). Perhaps the largest growth in scholarship on the history of psychology has been in the area of intellectual history. As mentioned earlier, the construction of narrative in these works tends to eschew the older, more ceremonial, and internal histories in favor of a point of view that is more external and contextual. Rather than merely providing a combination of dates and achievements, modern historical scholarship in psychology tends to illuminate. The value of this point of view is in its contributions to our ongoing discussions of the meanings and directions of our field. The ever-expanding universe that psychology occupies and the ongoing debates of the unity of psychology are sufficient to warrant consideration and discussion of how our science and practice have evolved and developed. Historical analysis offers insight into personal, professional, and situational variables that impact and influence the field. 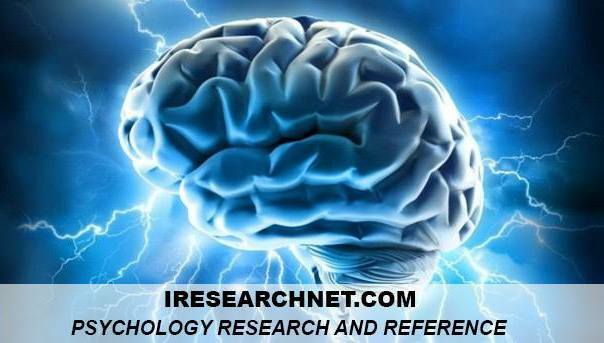 There is also a growing interest in what can be termed the material culture of psychology. The objects and artifacts that occupy psychological laboratories and aid our assessment of mind and behavior are becoming objects of study in their own right (Robinson, 2001; Sturm & Ash, 2005). For example, we continue to study reaction time and memory but we no longer use Hipp chronoscopes or mechanical memory drums. Changes in technology bring changes in methodologies and a host of other variables that are of interest to the historian of psychology. Another area of increased interest and attention is the impact that racism and discrimination have had on the field. Traditionally underrepresented groups in psychology have often been made invisible by the historical record, but recent scholarship seeks to illuminate the people, places, and practices that have been part of both the problem and the solution to some of the 20th century’s most vexing questions on race, gender, and religion (for examples see Philogene, 2004; Winston, 2004).